The species is widespread in southern Britain, becoming more patchy and scattered in the north. It is widespread in western and central Europe. The spider can be found on reeds, grasses, and other waterside vegetation and in tall herbage and rough grassland, usually in damp places. Females can often be found spun up in a tough silk retreat in the seed heads of plants but they are also found on bridges and posts etc., where their orb webs are very prominent. During the day these webs may seem to be deserted, the spider having retreated to a hiding place in the foliage or a crevice in wood. 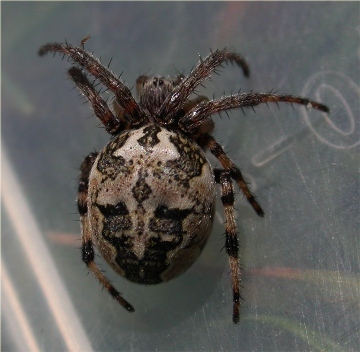 The spider is a frequent aeronaut as an immature, so can turn up in some habitats well away from water (J. Daws, pers. comm.). Adults are found mainly in early summer and late summer/autumn.